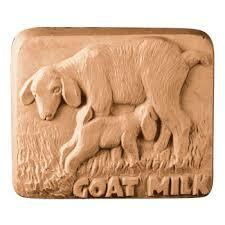 Goat milk is good for acne, psoriasis, eczema and is antiaging. We use only 4 organic ingredients, fresh goat milk, organic coconut, sunflower, and olive oils. Our soap uses the highest percentage of pure goat milk possible in each soap bar which will leave your skin clean and well-moisturized without the use of any synthetic chemicals and can be used for face, body and even hair.